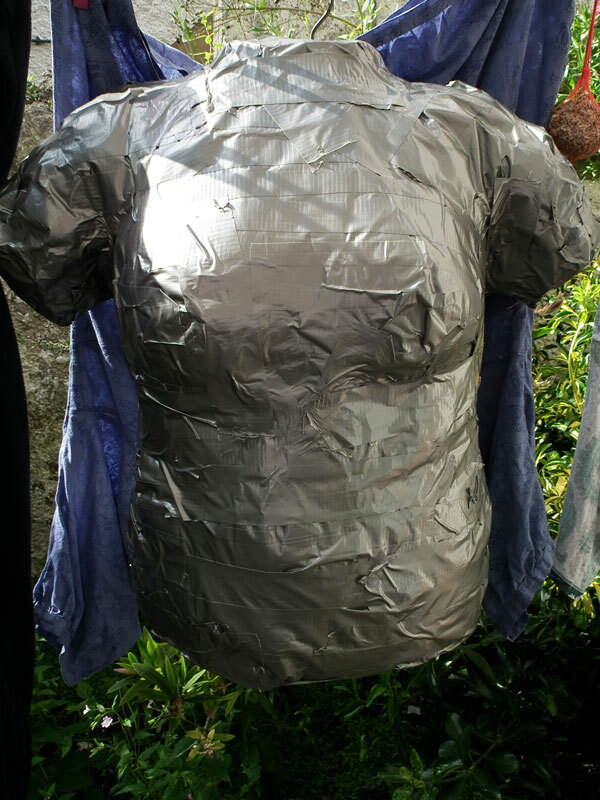 Wrap cling film (saran wrap) around your neck and upper arms to protect yourself from the tape. You are going to need patience and a helper. 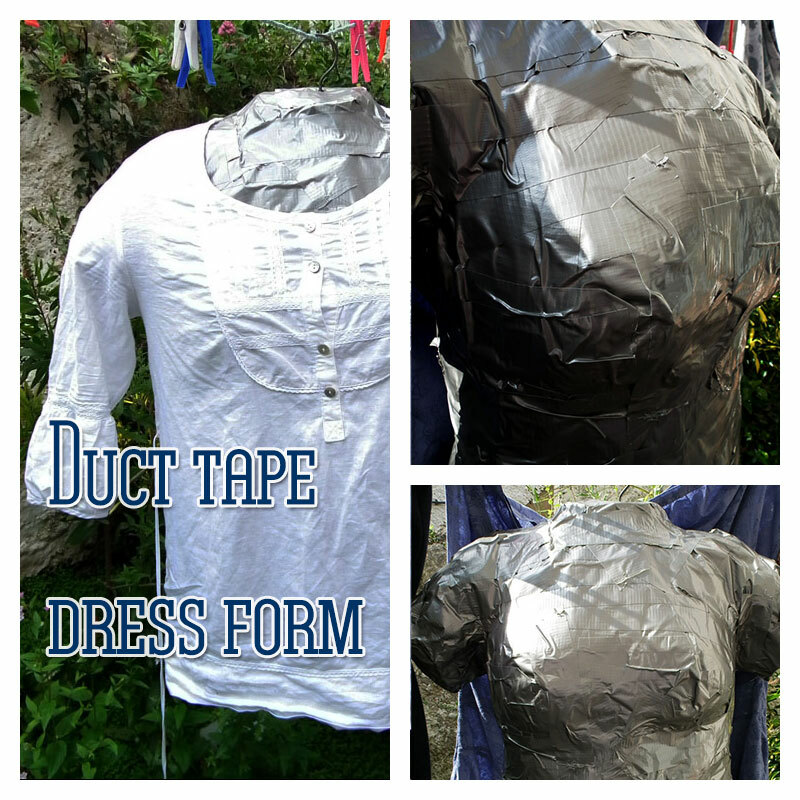 Start by taping across your waist then around the bust area to reinforce it. When you are finished have your helper cut carefully up the back of the t-shirt then remove carefully remove the cast. Reinforce the bust so that it keeps its shape. I used some batting and newspaper then taped them down. I added a clothes hanger and taped it in place. I closed the dress form up again with more duct tape along the back. Stuff with stuffing – I used newspaper. I sealed the armholes with tape then stuffed them- make sure its tight then did the same for the base. Spend some time making sure the stuffing is even and your body is not lopsided. Seal the neck with tape. This entry was posted in Craft and tagged Clothing, DIY, Sewing, tutorial. ← You cannot defeat me recession!